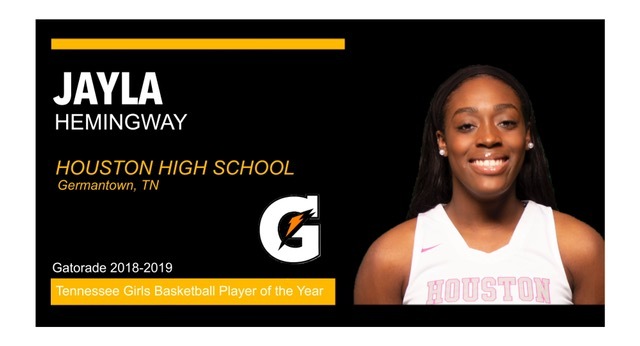 — In its 34th year of honoring the nation’s best high school athletes, The Gatorade Company, today announced Jayla Hemingway of Houston High School as its 2018-19 Gatorade Tennessee Girls Basketball Player of the Year. Hemingway is the first Gatorade Tennessee Girls Basketball Player of the Year to be chosen from Houston High School. The award, which recognizes not only outstanding athletic excellence, but also high standards of academic achievement and exemplary character demonstrated on and off the field, distinguishes Hemingway as Tennessee’s best high school girls basketball player. She is the 8th athlete in 5 different sports at Houston High School to have earned this award. Now a finalist for the prestigious Gatorade National Girls Basketball Player of the Year award to be announced in March, Hemingway joins an elite alumni association of state award-winners in 12 sports, including Maya Moore (2005-06, Collins Hill High School, Ga.), Rashanda McCants (2004-05, Asheville High School, N.C.), Candace Parker (2001-02, 2002-03 & 2003-04, Naperville Central High School, Ill.), Diana Taurasi (1998-99 & 1999-00, Don Antonio Lugo High School, Calif.), Shyra Ely (1999-00, Ben Davis High School, Ind.) and Lisa Leslie (1988-89, Morningside High School, Calif.). The 5-foot-9 senior guard had led the Mustangs to a 31-3 record. Hemingway averaged 22.7 points, 7.5 rebounds, 3.2 steals and 1.9 assists through 31 games. A two-time First Team All-State selection, Hemingway was the district tournament MVP as a freshman and sophomore, and was named the region tournament MVP as a junior. Ranked as the No. 19 recruit in the Class of 2019 by ProspectsNation.com, she entered the state quarterfinals with 2,540 points in her prep basketball career. A member of the Future Farmers of America, Hemingway has volunteered locally as part of multiple community service initiatives through Houston High’s Leadership Academy. “Jayla Hemingway is a tireless worker and a fantastic person,” said Ben Moore, head coach of Houston High. “She is the most talented player that I have ever coached.” Hemingway has maintained a weighted 3.79 GPA in the classroom. She has signed a national letter of intent to play basketball on scholarship at Mississippi State University beginning this fall. 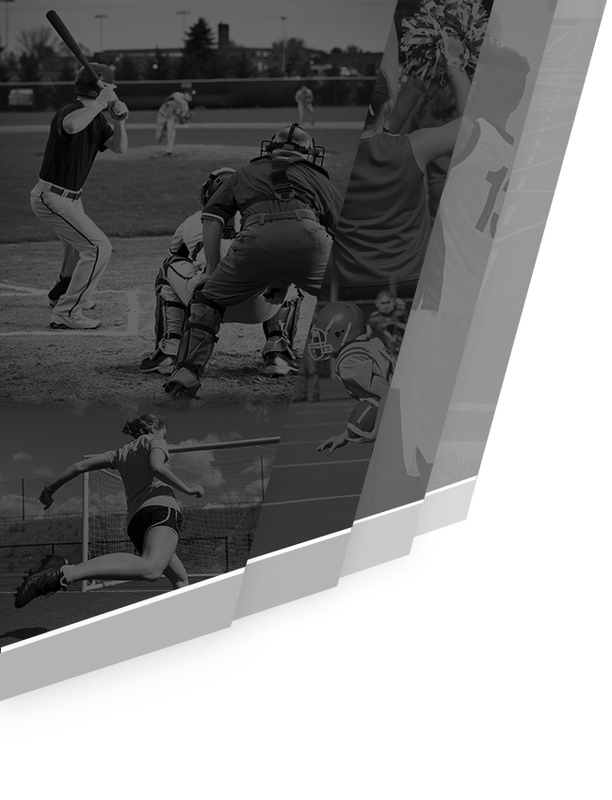 The Gatorade Player of the Year program annually recognizes one winner in the District of Columbia and each of the 50 states that sanction high school football, girls volleyball, boys and girls cross country, boys and girls basketball, boys and girls soccer, baseball, softball, and boys and girls track & field, and awards one National Player of the Year in each sport. From the 12 national winners, one male and one female athlete are each named Gatorade High School Athlete of the Year. In all, 607 athletes are honored each year.Jayla Hemingway has been named the GatoradeTennessee Girls Basketball Player of the Year and is now part of a 30+ year legacy that includes past winners such as Peyton Manning, Abby Wambach, Karl-Anthony Towns, Derek Jeter and many other sports icons! 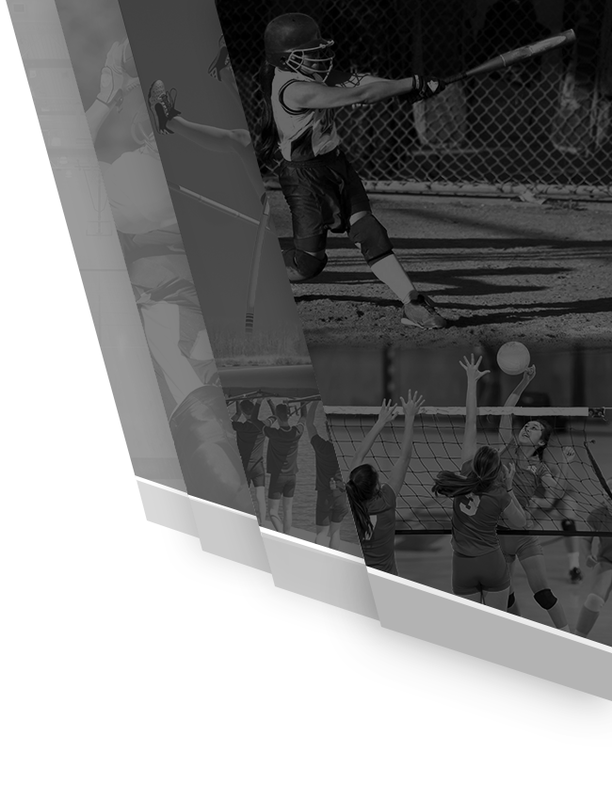 The Gatorade Player of the Year program is proud to recognize the nation’s most elite high school athletes for not only athletic excellence, but also for high standards of academic achievement and exemplary character.